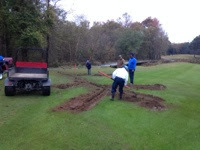 Here are a few pictures of this weeks drainage projects. This week we concentrated on some of the smaller areas. These area were mainly around the green approaches. 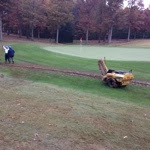 We will continue on with some other drainage projects through out the remainder of the fall and winter season. 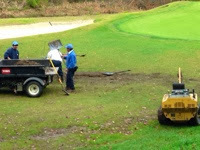 We will install around 4000 linear feet before next year.